A chaste male is an obedient male. An obedient male is a useful male. 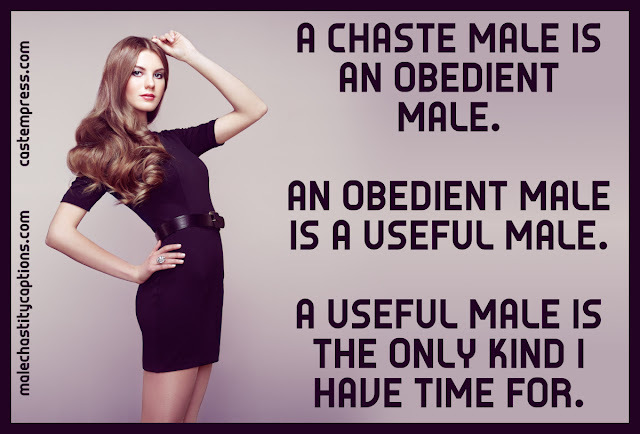 A useful male is the only kind I have time for.